HKP Architects announces the purchase of the Mount Vernon Post Office Building, establishing the firm’s new headquarters. 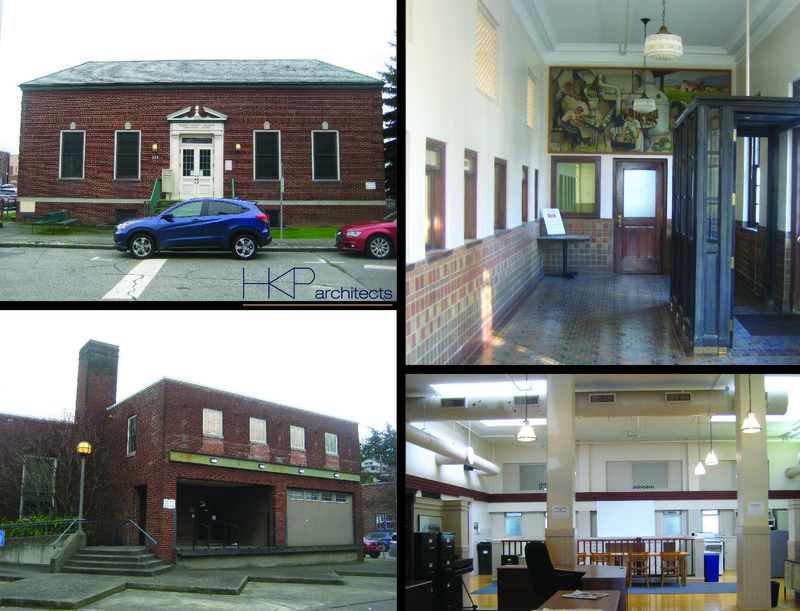 HKP has been located in downtown Mount Vernon since 1952, but always as a tenant. The building, built in 1935, has been previously owned by the Federal Government, the Mount Vernon School District and most recently, Skagit Valley College. “It is an honor to take on the responsibility of continuing this building’s life and place in our community. It’s fitting that our history and tradition of Civic Architecture has led us to it,” said Brian Poppe, Partner at HKP Architects. The main floor, with its large open space, will serve as a collaborative studio space that the firm has not had in its former location, allowing for even more sharing of ideas, information and display of current projects. The increased visibility of the building’s location also provides the firm with a chance to highlight and display more of their specialty services to passersby. The existing tenants, which include the Economic Development Alliance of Skagit County (EDASC) and Leadership Skagit and Congresswoman Suzan DelBene, will remain. HKP looks forward to the natural synergies and collaboration that will exist between all of the building tenants. “A prime focus and interest of our firm is historic preservation, and this ownership gives us the opportunity to preserve and protect this important cultural resource for our community. It also provides us with an incredible space in which to design projects here and throughout the region,” stated Julie Blazek, Partner at HKP.